Challenged with the introduction of four new hematology analyzers and the desire to train all users on their basic operation, Sysmex shifted away from its traditional train-the-trainer model of instrument training and implemented virtual instructor-led training (VILT) for all new analyzers. Investing in a state-of-the-art production studio, Sysmex moved from training 900 customers per year in-house using the train-the-trainer model, to training over 2,000 customers per year via VILT, enabling every user in the lab to receive the same training experience from the subject matter experts. Come learn how Sysmex successfully delivers technical training in the virtual world. Identify opportunities to move away from the train-the-trainer model for training delivery and implement training for all learners using VILT. Recognize the challenges of implementing VILT to a diverse audience of learners. 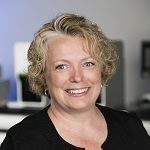 As the senior instructor at Sysmex, Kim combines her passion for science and learning, along with 20 years of experience in health care and education, in facilitating virtual instructor-led training (VILT) classes, mentoring Sysmex instructors, and helping design and develop training classes for clinical laboratory scientists. Kim has a Master of Arts in teaching, a graduate certificate in e-learning and online teaching, is a board certified Clinical Laboratory Scientist, and is a Certified Professional in Training Management (CPTM). Mike has over 20 years of experience in the diagnostic health care industry, a passion for education and an enthusiasm for technology. At Sysmex, Mike combined these to lead the development of a virtual instructor-led training (VILT) program that eliminated the need to travel for basic operator training and resulted in a threefold increase in customers trained within three years. 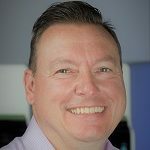 Mike holds a bachelor’s degree in medical technology, a master’s degree in education, and has held a variety of education related roles at Sysmex America, Inc. for the past 15 years. As Sysmex’s senior director of commercial operations training and development and marketing communications, Stephanie leverages innovation and technology in leading a high-performing department focused on customer training, sales training, instructional design, studio production, project management and marketing communications. 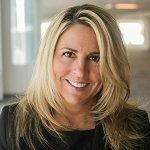 Through the demonstrated success of Sysmex virtual instructor-led training (VILT) classes, Stephanie designed a strategic vision that has led to a multi-million-dollar expansion buildout, allowing Sysmex to expand its virtual offerings enabling customers to be trained across the Americas. Complementing her 20 years of sales and various leadership roles in the health care diagnostics industry, Stephanie is a board certified Clinical Laboratory Scientist and holds certifications in the training field as a training director, instructor/facilitator, sales trainer and performance consultant.